Cooking an elk tenderloin is a special occasion. If you’re like most people, you don’t shoot an elk every year, and each elk only has two tenderloins, which are the same cut as filet mignon in beef. Given that, almost everyone just sears or grills the tenderloin simply. As jazz great Thelonius Monk would say, straight, no chaser. Well, this recipe has a chaser. And it is a good one. No, a great one. It’s this ancho sauce. I have become a student of Mexican cooking, and one thing that struck me was how reliant Mexican food is on sauces; I daresay even moreso than French cooking. Everything from chunky salsas to smooth dipping sauces and rich, complicated moles. Well there are simpler sauces, too. , which is a beautiful book centered around Chef Olvera’s famous Mexico City restaurant. Most of his dishes are complex, beautiful, white-linen affairs. But if you tease out the components you can find simple jewels. Like this ancho sauce. All it consists of are ancho chiles, caramelized onions and garlic. Olvera’s version is picante, as he uses the hotter arbol chiles. I wanted a more approachable, mellower base sauce here, and the mild, almost raisiny anchos do the trick; dried ancho chiles are easier to find, too. Why a sauce at all? Well, let’s face it: Both filet mignon and tenderloin are, as the name suggests, super tender. But they are also fairly light in flavor. Nothing like a ribeye or flatiron steak. The ancho sauce provides some bass in the music on the plate. The zippy pico de gallo adds bright, high notes. It’s a basic pico — white onion soaked in lime juice, diced tomato, cilantro — only I use habanero chiles instead of serranos. You can use whatever chile you want. But it should be as spicy as you feel comfortable with. You may notice something on the sides of the tenderloin medallion. That’s dried, powdered green onion with some black pepper. It is a cheffy touch I like, as it adds one more layer of flavor. But you can skip that if you want. 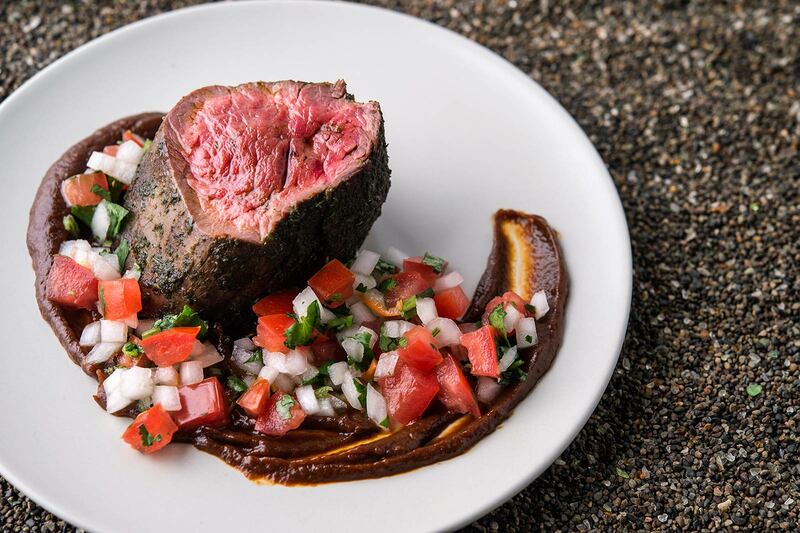 No matter whether you like your deer or elk tenderloin simple or not, make this ancho sauce. 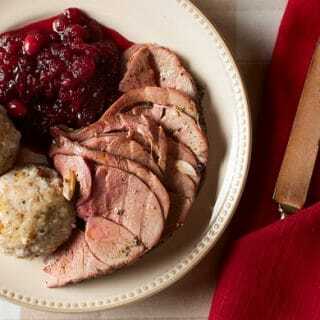 Serve it alongside any red meat, pork, or turkey. Or hell, dip tortilla chips in it. Obviously I use elk tenderloin here, but any red meat, pork or even turkey would work well with this ancho sauce. Dried ancho chiles are easily found in most large supermarkets, and if yours doesn't have them, look for a Latin market or get them online. The sauce will keep for a week in the fridge, so you can make it ahead or make more for chips later. 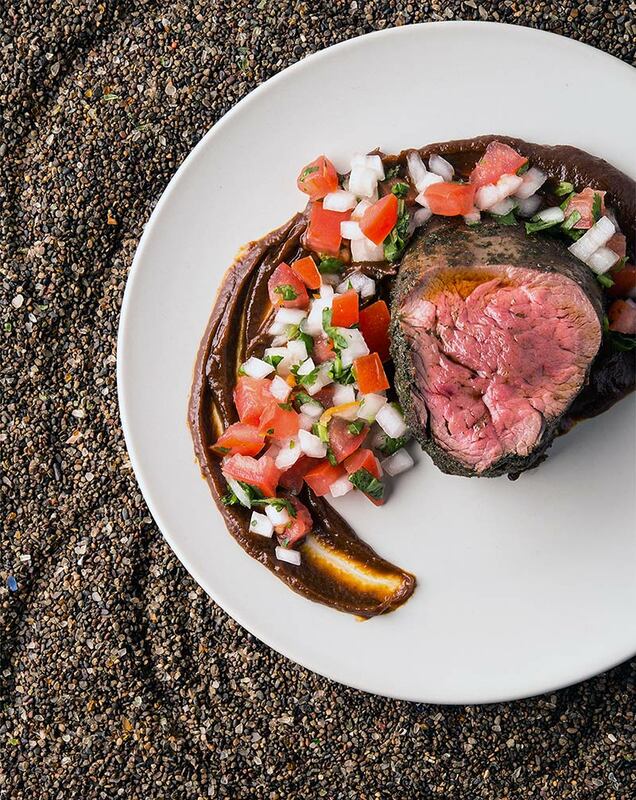 Make the ancho sauce. Heat the lard in a small pan over medium heat. Add the onion and cook slowly until it caramelizes, about 40 minutes. You may need to cover the pan and/or add a tablespoon of water here and there to keep the onions from burning. Take your time with this step, as it's important to the flavor. Take the tenderloin out of the fridge, salt it well and let it come to room temperature while you make the sauce, about 30 minutes or so. Cook the tenderloin. Heat the oil in a pan that will fit the tenderloin over medium-high heat. Pat the elk dry with paper towels and sear on all sides. Use the finger test for doneness to determine when it's done. Coat the meat in the black pepper and dried onion, if using. Let it rest for 5 minutes. 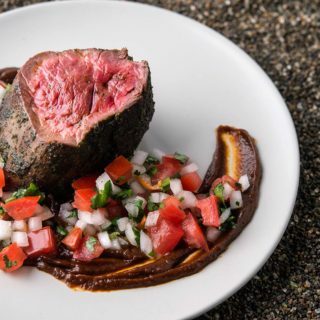 Spread some ancho sauce on a plate, slice the tenderloin into medallions and top with pico de gallo, if using. Pico de gallo doesn't really need a recipe, but if you're lost, dice 4 plum tomatoes, 1 white onion, some cilantro and as much hot chile as you like. Soak the onions in lime juice for 20 minutes, then toss together. 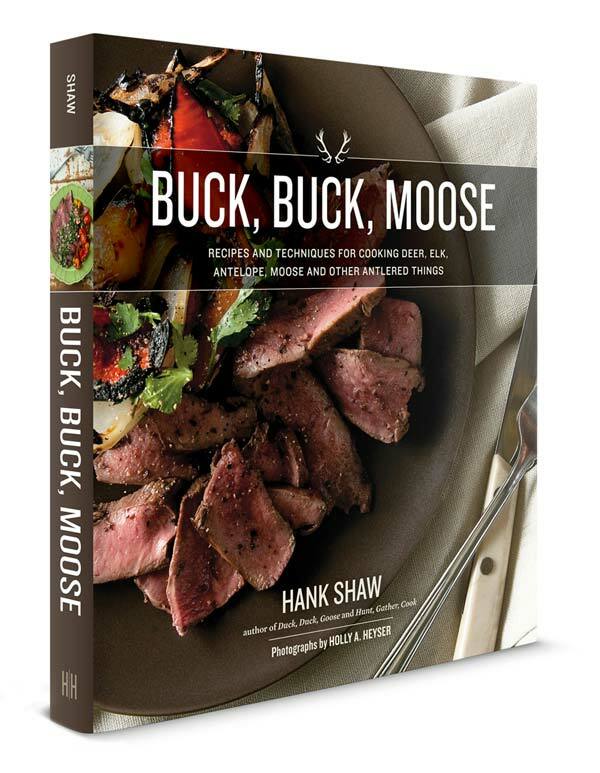 You can find more than 100 recipes for every kind and every cut of venison right here on Hunter Angler Gardener Cook! yup. this is going down with venison tenderloin… SOON! Made this tonight with a venison backstrap …omg absolutely delicious! Just added a squeeze of lime juice and some water to the sauce and it was perfect. Thank you for a wonderful recipe. Definitely a keeper.